DLG chooses to support its commercial insurance growth strategy using SSP’s digital insurance platform, SSP Select Insurance as a Service. Insurance technology specialist SSP today announces a new five year contract with leading UK insurer Direct Line Group (DLG) to provide its SSP Select Insurance as a Service platform to support DLG’s plans for growth. SSP won the contract after an extensive competitive tender process. SSP Select Insurance as a Service is a SaaS-based digital insurance platform that comprises a set of proven, integrated best of breed components that together provide powerful digital insurance capabilities to insurance companies, enabling them to build and deliver their products and services into the marketplace. These platform components provide product build, pricing, data enrichment, aggregator integration, policy administration and customer self-service capabilities, as well as pre-application fraud prevention through SSP Verify. DLG will also benefit from SSP’s Intelligent Quotes Hub (IQH), the company’s next generation, whole of market quotation solution that provides powerful, user configurable risk selection, data enrichment and pricing capabilities. The component options within the SSP solution are pre-integrated, meaning insurers can undertake a ‘low touch’ implementation that involves considerably less cost and effort than with traditional solutions, and get their insurance products live in the marketplace more rapidly. The SaaS platform is implemented, hosted and managed by SSP, a model that drives a low up-front investment, along with flexible and low cost of ownership. It also contributes to the rapid implementation timeframe. 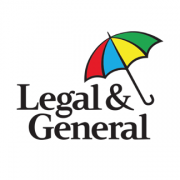 DLG will become the fourth leading UK insurer to adopt IQH to provide its Insurer Hosted Pricing capability for part of its business.